I want to thank all of you for checking in on my musings. I’ve had a tremendous amount of feedback recently and it is appreciated. For those that have emailed, I’ve given you more than I will post here. Take that message to the streets. Dare to not settle for the status quo. Expect more or you’ll be forever stuck with less. Ask “Why?” And “Why Not!” You need only travel for confirmation. But Real Running and Racing are just half of what is going down in Waterloo. Bar None Produce has also had a banner year. Long time readers know we moved to “the country” to get away, but not too far. Bought this old 1935 farm house as a foreclosed property and man it was in rough shape, the acreage equally neglected and derelict. Linda and I had a vision. A lot of hard work has brought us to today. Improvements for 2017 including a couple grape arbors (completely from repurposed materials) Linda has always wanted. The potting shed is near completion, replete with electric and water. Two hundred feet of solid white picket fence adorning the front, allowing Jedediah free range. New roofs on the house, barn, garage, and studio. Fresh coat of paint. New chicken coop. New driveway. Some interior work, exposing the original brick chimney hidden behind four layers of sheetrock. Expanded the main garden to 16,000 square feet. Landscaping all around with serene nooks for a moment’s respite. Created our own niche as the only completely chemical free operation at Village Pointe Farmer’s Market. Organic growers use organic chemicals, we don’t. Expanded our “boutique” clientele. Put up over 90% of our food needs for the year, canning, freezing, pickling, dehydrating. 2018 seed orders already coming in, time to start again in just a few weeks. Made many amendments to the soil and in life. Without sacrificing principles. Remained my own boss. A lot of parallels there. No cubicles or timeclocks. No puppet master calling my shots. 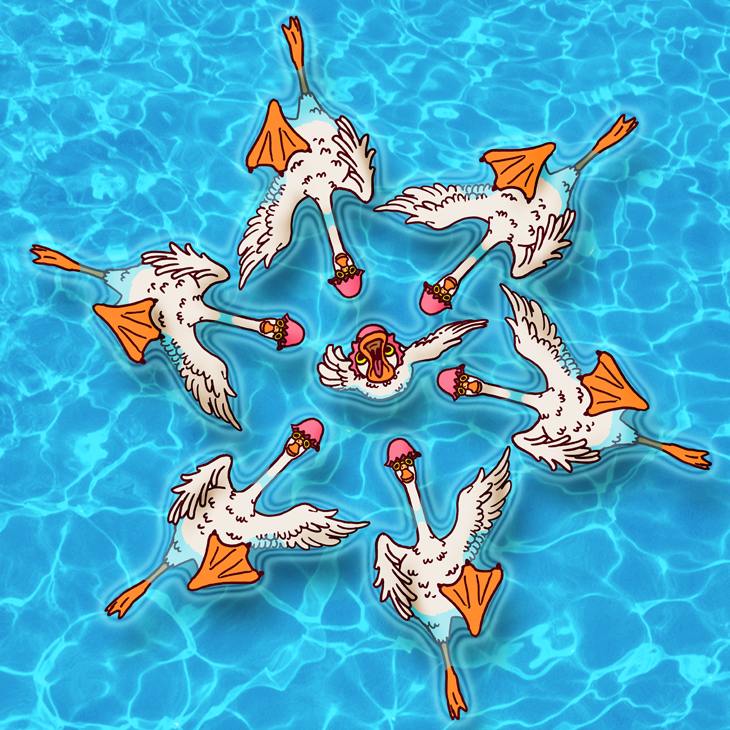 Cleansing Sacrifice. Happier and Healthier than ever. Good thing we were marathon runners! More work accomplished at age 60 than in my entire life. My hands resembling my dad’s more each day. This entry was posted in Uncategorized on December 29, 2017 by runguru. We hope you have checked the tab up top for our 2018 Winter Fitness Series. Amazingly this is my 15th year of putting on races in the Omaha Metro. My how things have changed. My how things have remained the same. It all started with the 2003 Swamp Stomp at Lake Zorinsky and then the Monster Dash in 2004 and Ni-Bthaska-Ke in 2005. Those ran for years. All early events fundraisers for Team Nebraska. 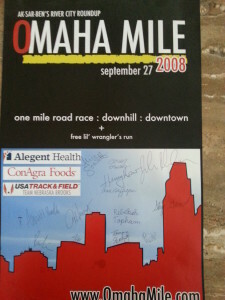 The Omaha Mile in 2007 and 2008. Linda and I enjoying brief stints as Knights of Ak-Sar-Ben Trail Bosses. Eight years of Wednesday Night Track Work and Kids Fit Program at Millard West. From March through October. The numbers sometimes reaching 50 and more. Writing and recording workouts. 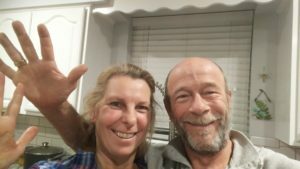 Linda and I donating our time and efforts for 8 months every year. Sprinkled in the middle were other fundraising events. 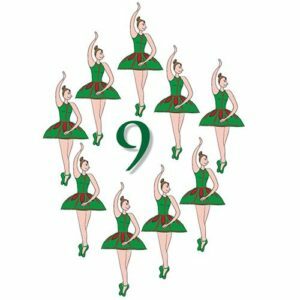 The Open Door Mission (Jingle Bell Run), Food Bank of the Heartland (Hair of the Dog Run), Ovarian Cancer (Whisper Run), Prostate Cancer (Big Blue Run), Race Against Autism, and more that have slipped into distant memory. Giving time freely for good causes. Sat at a table for hours on end at multiple Lincoln Marathon Expos introducing Nebraska to USATF and Team Nebraska. Did righteous battles with the Omaha Corporate Cup to recognize and ultimately reward our state’s top runners. For you. Designed and certified the Blair Elite Downtown Mile. Always lobbying on behalf of those that would Race. Directed my very first track meets, The TNB Twilight Classic (2009, 2010). And one of my favorite memories, the USA Club National Championships at Burke in 2012. Organized Christy Nielsen’s fundraiser for her trip to the 2008 Olympic Trials Marathon. And the same for Kaci Lickteig and Bridget Easley in 2012. And for David Adams at Burke HS the same year. Met with Camp Carol Joy Holling admins, consulting on the launch of the Emperyan Ales 5K. Yes, it really was that way. The Fourth of July Kids Runs. Made multiple trips to Grand Island meeting with their YMCA leadership helping to establish that now popular half and full. Explaining the benefits of course certification and helping design a legitimate course. Some never panned out, The Linoma Beach Half Marathon comes to mind. Dozens of hours given before the rug was pulled. This year’s Hy-Vee Pinky Swear Run. Many donated hours spent working with the city to help launch. 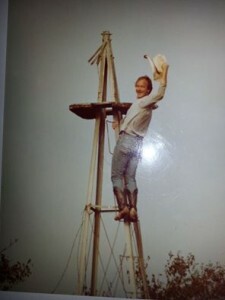 My old buddy Brian Mastel out of Minneapolis, couldn’t refuse his request for assistance. 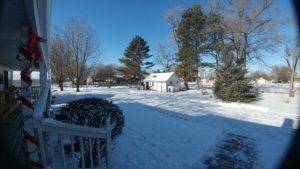 Back to our Winter Series and the new Nebraska Trail Run. Mom and Pop efforts. For the love of the sport. Hopeful to attract maybe a hundred runners. Catering to Elite, middle and back of the pack runners. That is the thing hasn’t changed. I now see these vividly festooned local mega events, how the organizers and admins have crafted and capitalized on marketing, and tip my hat to them. That is the change I do see. As I pour over my photo archives from the last 15 years I see that Linda more than any other played the most critical role in supporting my vision for Nebraska running. She alone spent countless hours in meetings, listening and learning, soliciting support, tilting at windmills, and deserves as much credit as I do for everything. Here’s hoping we are still able to offer what we do for many more years! For you. This entry was posted in Uncategorized on December 28, 2017 by runguru. 2017 started off with Cory Logsdon winning the Full Wolf Moon 5K in a chilly but quick 15:38. Tim Meyer 2nd in 15:41, and Jay Welp and Ross Lorber also under 16:00 in January. 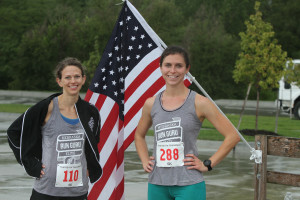 Jay would run 15:44 and Nicole Norris 19:51 to lead the Dalton Gang 5K the first week in February. February brought the Valentines Day Run 10K (Tim Fry- 40:22, Nicole Norris 40:49) and a snowed out Halley’s Comet 10K. Both are on the schedule for 2018. February also brought stern admonishment from The Powers That Be regarding the Nebraska Trail Run Half Marathon scheduling. Flimsy portent, and a promise strung out for the next 8 months undelivered, surprising no one in Waterloo. The main reason the event ended its 11 year run at Platte River State Park. 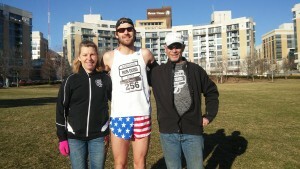 March saw Grant Wintheiser run the fastest State Farm 10 Mile (50:51) in twenty years. For perspective Cory was 2nd nearly 4 minutes back. 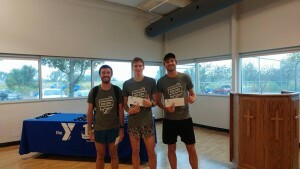 On the same morning Jay Welp (15:44) defeated the Best of the Rest in the 5K with Johnny Rutford (15:47) and Colin Morrissey (15:44) rounding out. A great morning for Run Guru Elite! April found my old buddy Patrick Rizzo (4 time Olympic Trials Marathon qualifier) defending his Nebraska Trail Run Half Marathon title. May and the Lincoln Half Marathon. Grant Wintheiser (4th-1:07:09) and Jay Welp (10th-1:10:51) propelling our little club to the only such from Nebraska with 2 in the top 10. Another great morning for Run Guru Elite! 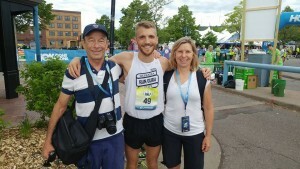 Grant using it as a tune up for his 1:06:30 at Garry Bjorklund in June. The fastest by a Nebraskan in over 15 years. Jay using it as a springboard to an undefeated summer campaign and event record (8:33 3K at Havelock, Peter Falcon 2nd in 8:48). Jay would race often and not lose a race until the fall. May also brought graduation and Run Guru Elite a bunch of hungry athletes with blue collars. LRC Racing also capitalized and bolstered an already formidable team. Our main competition along with Team Nebraska. More challenges from across the river regarding our new makeup leads to our name change from Nebraska Run Guru Elite to simply Run Guru Elite. And so it goes. June found Nicole Norris making her marathon debut/36th birthday at Grandma’s in a stellar 3:13:52. Eyes now set on sub 3 at Boston y’all. July, no Nebraska representation at USA Club T&F Champs. Drats. September, the camel’s last straw. October saw Brogan Austin of Iowa set a Nebraska State Half Marathon Record of 1:04:08 at the Good Life Halfsy. Fernando Cabada 2nd in 1:04:53. Ben, I can’t tell you how much I appreciate your bringing that level of talent to us! Al Sanabria (3rd, unattached, 1:06:45) the first Nebraska finisher, Nolan Zimmer (5th, LRC Racing, 1:07:34) the first Nebraska Club finisher. Katie Wetzstein (LRC, 1:15:26) turning in the fastest women’s half marathon on Nebraska soil in memory. December, USA Club Cross in Kentucky and LRC Racing representing. LRC’s Johnny Rutford running the fastest marathon by a Nebraskan in nearly 10 years at California International (2:21:34) also a highlight, leading a trio of his mates under 2:30. Here’s to hoping the trend continues. That all of our Nebraska athletes, regardless of kit, regardless this blog, are afforded the opportunity to compete against themselves and the best of the Midwest and beyond. Grant Wintheiser, the most talented runner in Nebraska since Mike Morgan. Sam Runde finished 10th overall at the USA Junior Olympics 3000 in a very fast 8:31. 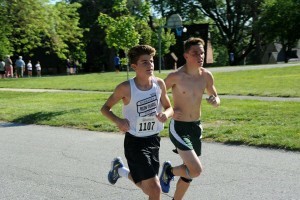 Jay won our Nebraska Association 1 Mile Championships (4:17), besting 2nd place finisher Colin Morrissey by :10. Run Guru Elite’s Elizabeth Starbuck (right, 5:17) finished 2nd to Erica Doering (5:07, LRC) at the 1 Mile Champs and is looking very much forward to representing/competing in 2018! Nicole (left) an emerging talent with high aspirations in the longer distances. Sean and Mark, joining Jay on a mission to stimulate the running community to a more competitive culture! This entry was posted in Uncategorized on December 27, 2017 by runguru. All you good little girls? All you good little boys? This entry was posted in Uncategorized on December 25, 2017 by runguru. 11-19-56. 11-28-57. 12-24-58. Cindy, Willie, Jim. Happy Birthday little brother! Mom and dad had three children in 3 years and 35 days. They just don’t make them like that anymore. The U.S. birth rate is hovering at an all time low. Women age 40 are much less likely to be married today (91% in 1990, 61% in 2017). Grab you mom and give her a hug. Same for your dad. And if you have siblings count yourself lucky. 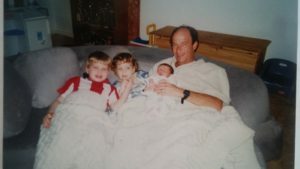 From a few years ago, we’d already lost mom to lung cancer at age 72. I’ve seen my brother twice in the last 20 years but we stay in regular phone contact. 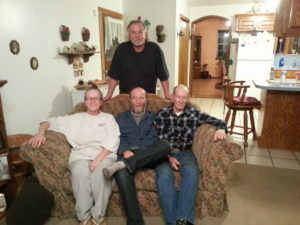 Dad had 4 brothers growing up. He will be 87 on January 5th. And as life turns out only I produced a male heir to the name. The Lindgren line rests on the shoulders of my son Miles. Always keeping fingers crossed that he will buck the trend and give me a grandson or two and some granddaughters too! 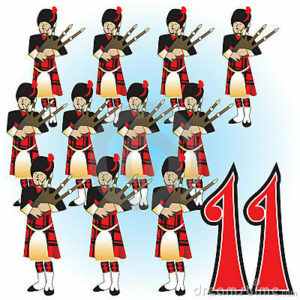 I hope you will all check in after you set out cookies and milk tonight, my 10th (?) annual Christmas Classic awaits. This entry was posted in Uncategorized on December 24, 2017 by runguru. This entry was posted in Uncategorized on December 23, 2017 by runguru. It begins with understanding. To know the truth is to seek its entirety. Only the whole is Wholly Good. No singularity. Acceptance of differing philosophies. I don’t doubt that is what Heaven is. Only in Hell do we take ourselves too seriously. Heaven must be light hearted and fun and smiling. With no poverty of disparate content. From the wisest to the most childlike. Acceptance of all. You. Me. Every imperfection, every failure. We are after all only man. This entry was posted in Uncategorized on December 22, 2017 by runguru. *With thanks to the Avett Brothers. There is divine goodness in all of us. The goodness that man possesses, en toto, the virtuosity of us all, is beautiful. I may not possess your goodness nor you mine, but the twain are inextricable and perfect. The smallest and greatest unique and necessary for the whole. We need not strive toward, nor be the same. We simply are. I wish you’d see yourself, as beautiful as I see you. Why can’t you see yourself, as beautiful as I see you. This entry was posted in Uncategorized on December 21, 2017 by runguru. Almost Christmas, everywhere! No matter how you celebrate we hope you get the most important of gifts, time with family. Christmas 1961. I was 4 years old. 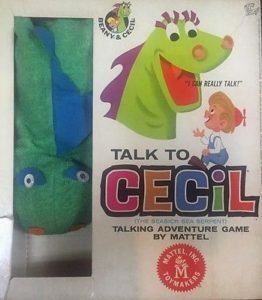 My favorite gift was Talk to Cecil. A hand puppet with a pull string. “Likes to hunt”. “Lives near water”. 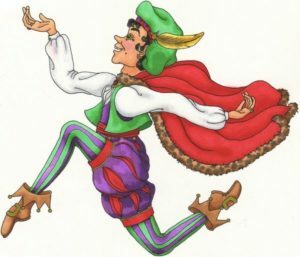 “I’m coming Beany Boy!” And a couple other rudimentary phrases lost to time. 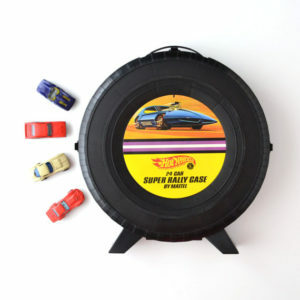 1966, The Hotwheels Rally Case. I still have it. Christmas 1967. 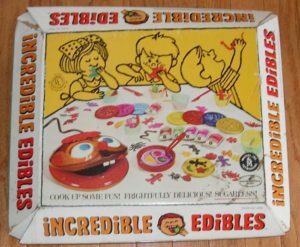 Favorite gift was Incredible Edibles. 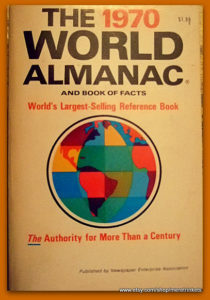 1969 it was the World Almanac. Simple. 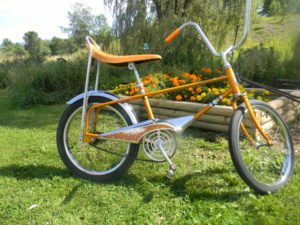 1970, now 13 and found this on the front porch. I put on hundreds of miles, pulled thousands of wheelies! I couldn’t believe that dad had saved up enough for the Best Christmas Present Ever! Christmas, 1976. 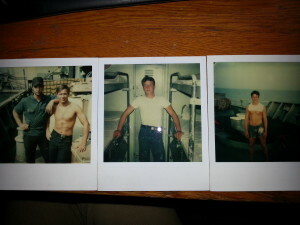 I was 19 years old and in the U.S. Navy. Stationed in Virginia Beach, VA. Spent that day alone. Had Christmas dinner at a Winchell’s Donut House. The 1980s were spent in Houston. Ten years working rotating shifts in the chemical plants. Including Christmas, double time and a half, so others could have time with their families. The 1990s I started my own. Miles, Alli, Katie. The 2000s bringing me to Nebraska. And in 2012 a new life, a new love. Wishing you not only a Merry Christmas, but also a Wonderful Life! This entry was posted in Uncategorized on December 20, 2017 by runguru. Old Willie’s got some brand new parts! This entry was posted in Uncategorized on December 19, 2017 by runguru.